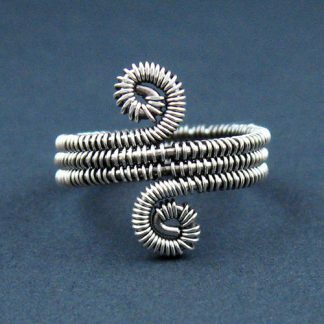 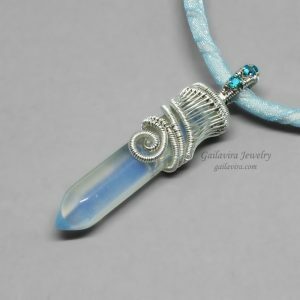 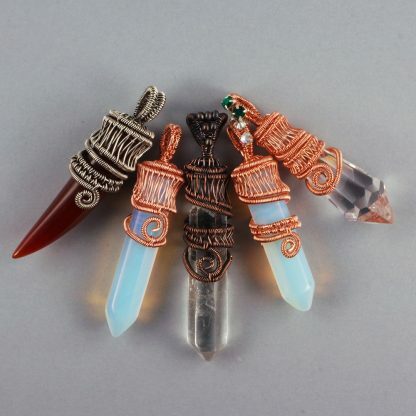 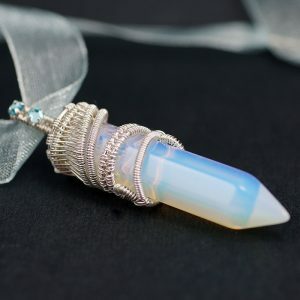 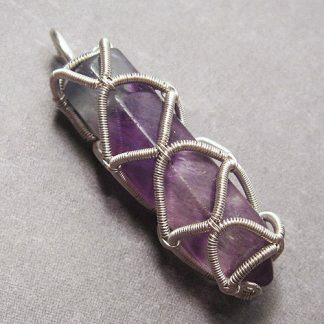 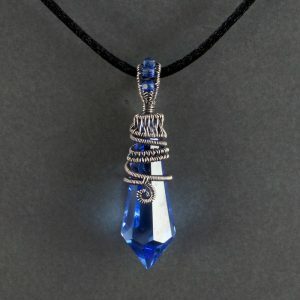 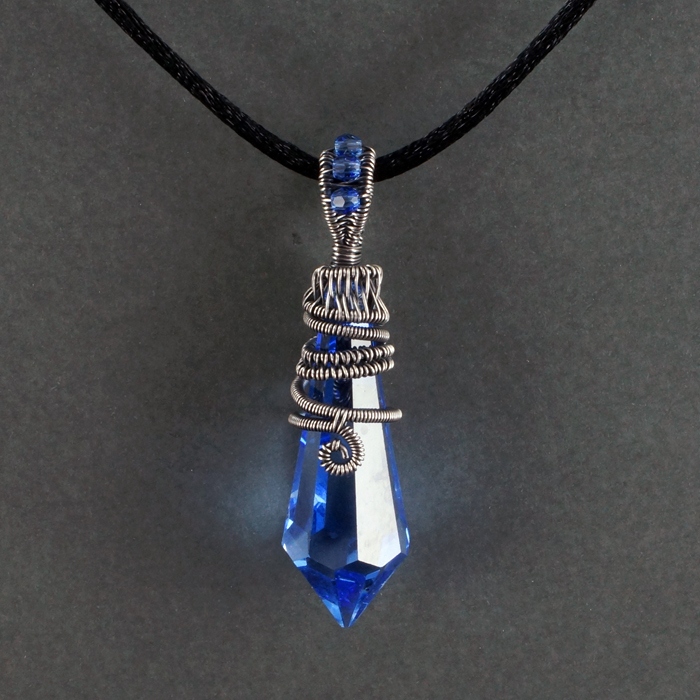 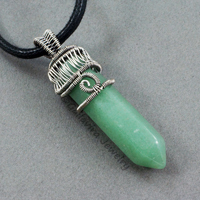 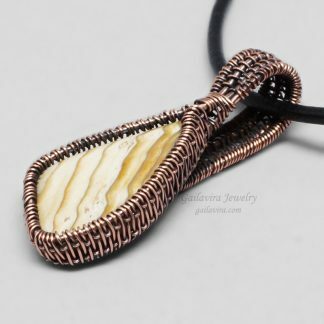 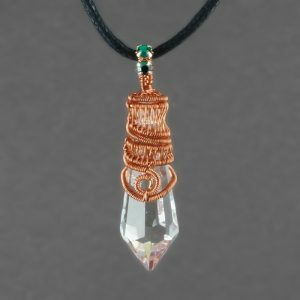 This tutorial will teach you how to wrap a plain, top drilled crystal point with intricate weaving, coils and spirals. Using the techniques in this tutorial, you can create many different styles of wraps. 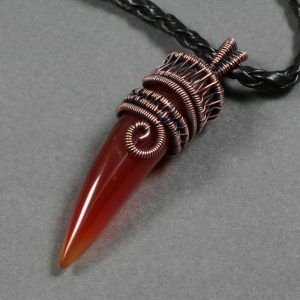 This lesson teaches one specific design, however you can use what you learn here to create many other designs. 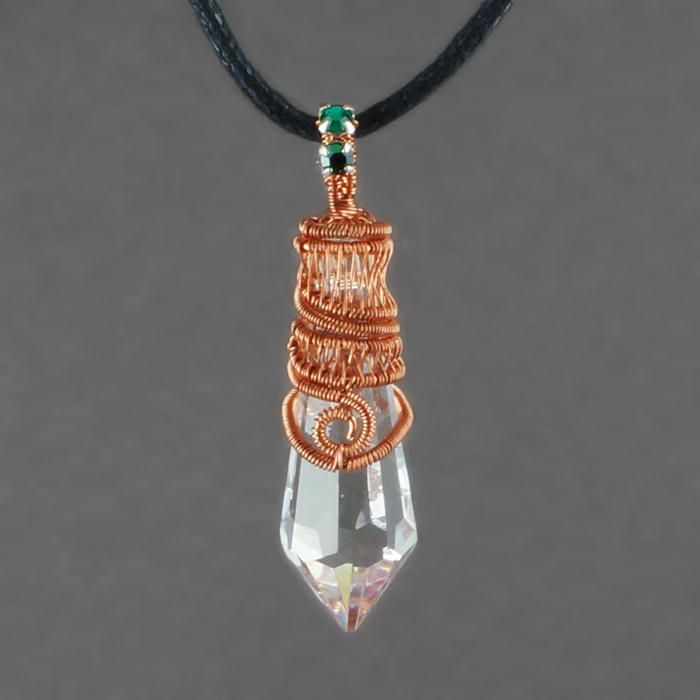 The design was developed for drilled crystal points, but it looks great on crystal prisms as well.